Louise Garwood, Jessica Wright and Orla Fola in action for the red-topped Reivers Raiders. The Borders Hockey Development Eighth Annual Festival of Hockey 2017 was hailed a resounding success, with 113 games played and around 400 players crossing the turf over the three days. The weekend kicked off at Tweedbank last Friday night with the goalkeepers’ coaching clinic. Ian Chapman of Edinburgh delivered a fantastic inspirational workshop for 11 young goalkeepers of the future, who received lots of tips and techniques to enhance their GK careers. Early on the Saturday morning, the young U12 players from the Participation Centres played out a competitive six-a-side festival, where competition is encouraged and positive attitude and applying effort is rewarded by feedback from the club coaches and supporters. This was a great showcase of fun hockey, with many of the young players experiencing team hockey against other clubs from Edinburgh and the Borders region for the first time. On completion of the U12 Festival, the following players were selected for Certificates of Merit by their club coaches for demonstrating hard work, enthusiasm and effort during training sessions throughout the year: Kelso – Orla Armitage, Iona Thomson, Brodie Lawson, Emma Stewart; Selkirk – Iona Taylor, Ailish Fairbairn, Freya Henderson; Jedburgh – Connie Lightbody, Finlay Cleghorn; Hawick – Alex Forrest, Iona Morozzo, Zoe Pearce; Earlston – Keiran Douglas, Morven Peace and Jessica Damerell; Tweedbank – Abigail Burns, Robyn Finn, Freya Hoawson; Duns – Hazel Heron, Ellie Lyons and Anna Dickson. Borders Hockey Development Awards were presented by Claire Townsend, while next up was a family fun six-a-side tournament for all ages and stages. The mixed U14 Borders Hockey club tournament was played on the Sunday morning, with 12 teams entered from the East District. Squads from Fjordhus Reivers, Kelso (KYDS), CALA Edinburgh, Fidra, Dunbar, Erskine Stewarts Melville, Grange and Watsonians played six matches each to decide the winner of the 2017 tournament. With nothing to separate CALA White and Fjordhus Reivers Rangers, an executive decision was made to award them joint winners. To close the Festival on the Sunday afternoon, Borders Hockey held the U16 girls club tournament. Teams including Fjordhus Reivers White, Kelso, Fjordhus Reivers Black, Fidra, Grange, CALA Blue Watsonians, CALA White, battled out an extremely tough tournament which saw some exceptional young talent. 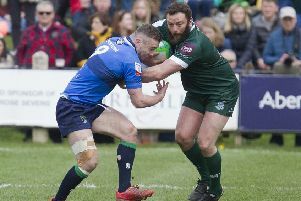 After two leagues were completed, there was a tie between Watsonians and Fjordhus Black – again, a joint winners’ decision was made.